A mother from Gloucester, UK, woke one morning to find her three-month-old daughter dead after she was left sleeping on a bouncer for a long time that night. According to a report by HNGN, little Leia-Mae Smith was made to sleep in a bouncer while her exhausted mother and an older sibling slept on a nearby couch. At 4:30 a.m., the mother Ms. Jones, woke to find her daughter not breathing. Essential Baby reported Ms. Jones’ heart-breaking court statements. “I woke up at around 4.30 a.m. and saw that Leia-Mai was not breathing and her lips had turned blue,” she said. According to the Inquisitr, the actual cause of this tragic death could not be determined. However, court records show that the death of the baby occurred when she had been left unsupervised to sleep in a bouncinette, a serious baby safety lapse. Essential Baby also further reported that a label on the baby bouncer Leia-Mai was in, warned that children should not be left in it unattended. Bouncers, rockers and car seats are great modern baby equipments to make parenting a little easier. But do we ever pay heed to the baby safety instructions they come with? 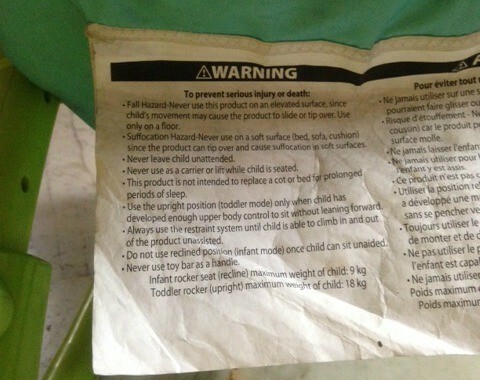 Always read the warning instructions the baby equipment comes with. Do not keep a rocker or a bouncer on a soft or elevated surface, where it may tip over. Do not leave the baby unattended in any baby equipment or allow him to sleep on it for prolonged periods of time. HealthyChildren states that infants and toddlers must always be placed in a rear-facing car seat, if used. Harnesses, wherever provided must be utilised for the safety of the baby. 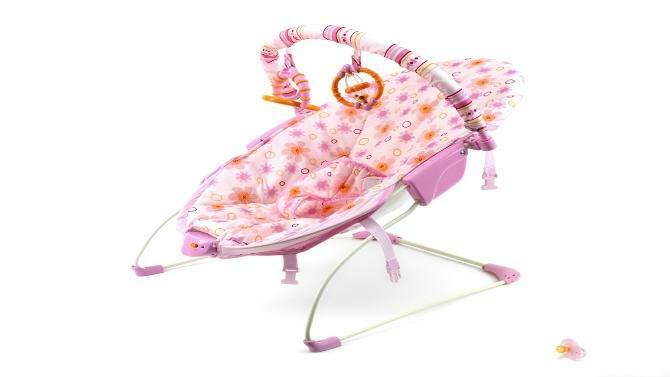 Follow the manufacturer’s recommended weight and age limits for any piece of baby equipment. It is better to be safe than sorry when it comes to the safety of our children. As parents, let us act responsibly and leave no stone unturned to ensure our kids’ well-being. If you wish to add something to our story on baby safety, please share in the Comment box below. Shocking! Safety pin was stuck in toddler’s nose for six months and no one noticed!